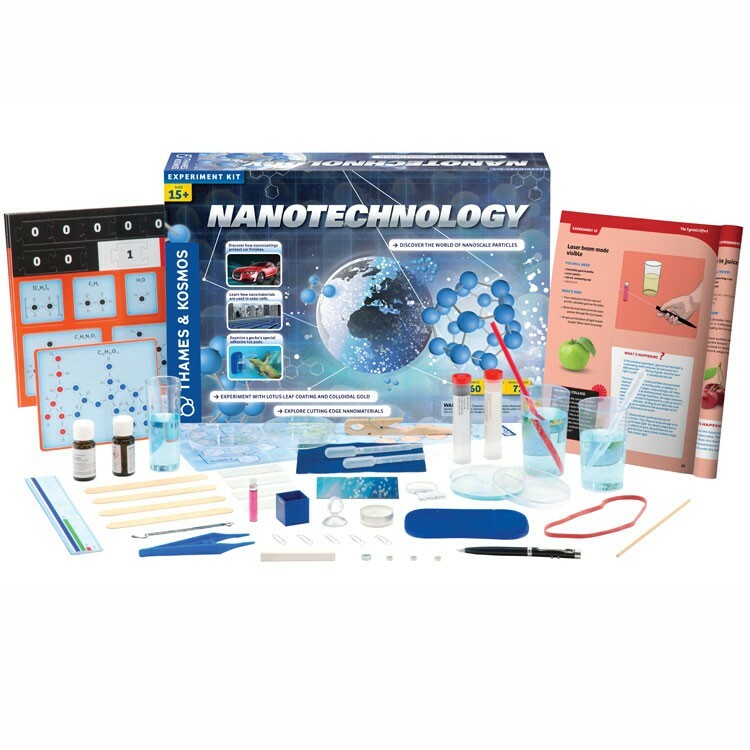 Discover the world of the smallest nanoscale particles with the hands-on science experiments from this amazing Nanotechnology science set. 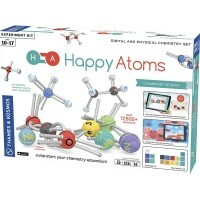 One atom is about one nanometer. 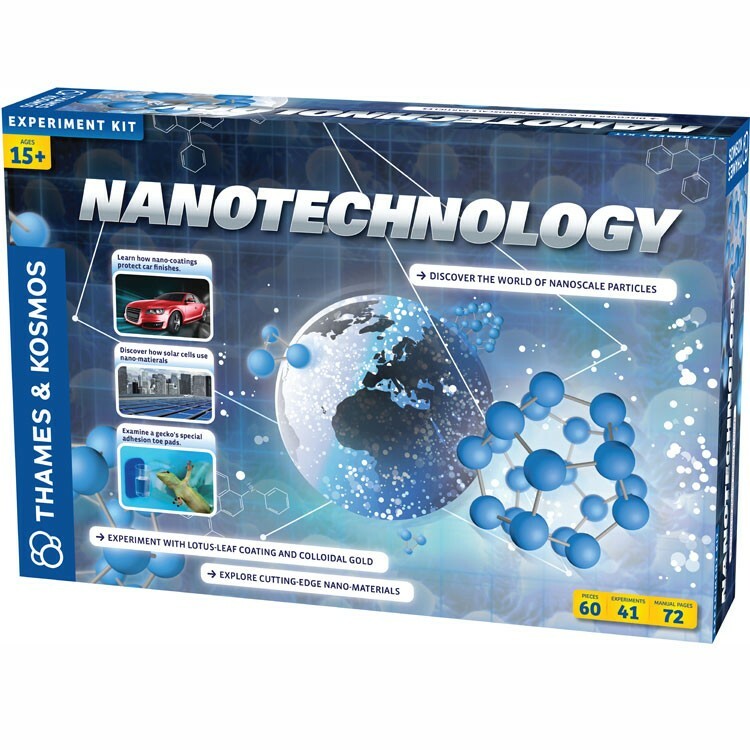 Nanotechnology deals with the structures of 1-100 nanometers, just a few atoms in a row. 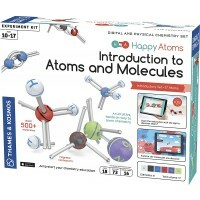 Now the cutting edge technology can be learned by teens! 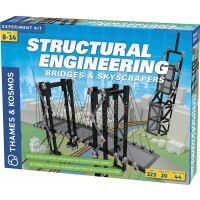 Nanotechnology Science Kit by Thames & Kosmos brings the newest scientific discoveries to young scientists. 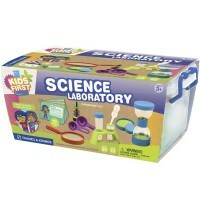 Discover the world of the smallest nanoscale particles with the hands-on science experiments from this amazing science set. 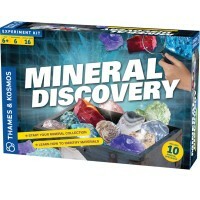 With the 72-page illustrated science booklet, tools and materials from this unique science kit conduct 41 engaging experiments and learn nanotechnology concepts. Investigate size, scale and orders of magnitude in the International System of Units, to understand how small a nanometer is. 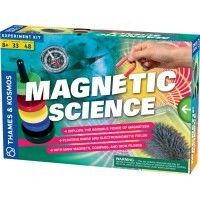 Perform filtering tests to find out how charcoal is like a nanoscale sponge. Learn about the hydrophobic and hydrophilic properties of various surfaces and see how they illustrate nanoscale properties. 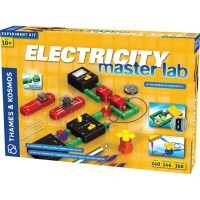 Mix and test the unusual concoctions to learn about nanoscopic particles suspended in them. Shine a laser through a colloidal gold, a suspension of nanoscale particles of gold. Examine special material that mimics a gecko's special adhesion toe pads. Conduct different nanoscience related experiments to learn about electromagnetic spectrum, laser light, electron microscopy, and atomic force microscopy to understand how people make nanomaterials visible. 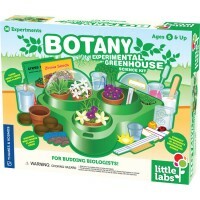 With the facts presented in the science booklet and engaging advanced experiments begin to grasp the practical meaning of nanotechnological discoveries. Find out how automotive paint nano-coatings protect car finishes, how solar cells use nano materials. 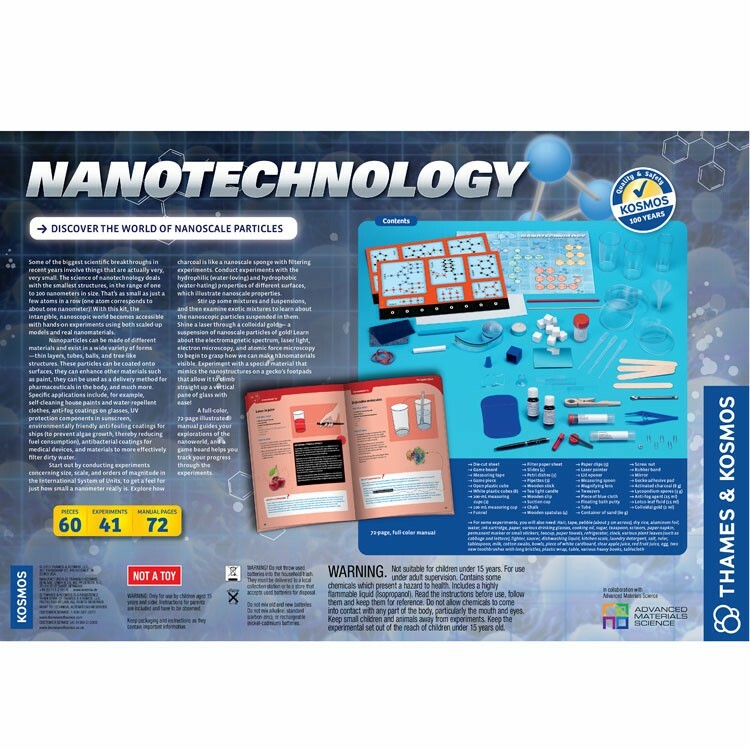 Educational Toys Planet offers the Nanotechnology Science Kit as a rare chance for the older children to explore and discover the nanoscopic world with the hands-on science activities. 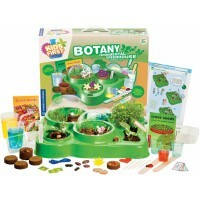 Write your own review of Nanotechnology Science Kit.